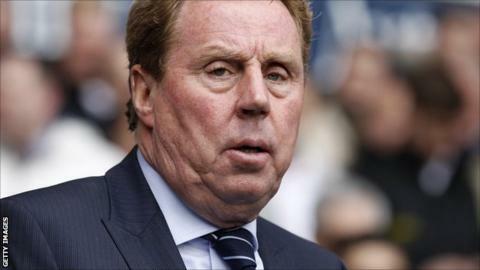 Former Tottenham manager Harry Redknapp has returned to League One club Bournemouth in an advisory capacity. The 65-year-old, who managed the Cherries for nine years from 1983 to 1992, has been out of work since being sacked by Spurs in the summer. Chairman Eddie Mitchell told the club website: "We met and he offered to come in on a voluntary basis. "He still has a passion for the club and for football, and he's got a lot to offer for us." Redknapp, who was heavily linked with the England manager's role before Roy Hodgson's appointment, will travel with the squad to Yeovil for Saturday's league match. Mitchell insisted that Redknapp's presence will not compromise the positions of manager Paul Groves or his assistant Shaun Brooks. "Paul and Shaun will still have the final say on all football matters, there's no doubt about that. They're very astute people and they're not above listening to anyone, and I'm sure they can learn from him," he said. "They have both worked with him before and I think there's only person who would be able to get on that coach tomorrow without Paul and Shaun rejecting the idea, and that one person is Harry." Having left the Cherries in June 1992 Redknapp went on to manage West Ham for seven seasons before two spells with Portsmouth and a brief stint at Southampton. He joined Spurs in October 2008 and guided them to a top-four finish in 2009-10 before repeating the feat last season only for Chelsea's victory in the Champions League to consign the White Hart Lane side to the Europa League.